Having a good antivirus software installed on your computer system is very important because you typically share applications, documents and files between your system and hard drive. Malware infection is one of the major causes of hard drive corruption. A good antivirus software helps to prevent malware infections and thus prevent hard drive corruption. When you want to remove an external hard drive from a computer system, you remove it through the ‘safely remove’ option rather than just yanking it out. This eliminates the risk of electrical damage when the power to the drive is shut down. Due to how portable external hard drives are, there is the risk of unconsciously manhandling them when you carry them around. It is ill-advised to move or bang these devices at any point. It is also advisable to carry hard drives around in a soft case to protect it from any damaging impact, especially those that can harm the magnetic media of the hard drive. Extreme temperatures can damage the electronic components of the hard drive. Exposing the hard drive to solar flares can also corrupt the data in the RAM. Suitable temperatures and proper airflow should be available to the hard drive to prevent data corruption and loss. It is more appropriate to use a hard drive at room temperature. 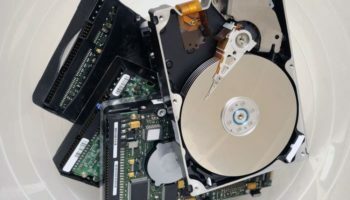 Power surges and sags are bad for hard drives especially for those in a computer system. Ensure there is good quality and uninterrupted power supply when making use of hard drives, either external hard drives or system hard drives, because power surges, unstable or poor quality power supply is one of the major causes of hard drive corruption and failure. A UPS is great for helping to regulate power supply.